I knew about Christianity before Jake was born. I went to church on occasion, read a little bit of my bible a few times a year, prayed when life got tough, and embraced the moral lifestyle of a “good traditional baptist”. I was a solid young man, newly married, with a good job, two cars in the driveway, a nice house with a white picket fence, my name on a church membership role, and a comfortable existence that was leading me straight to hell. Then God sent Jake into my life and in a two year period, a period marked by unbelievable stress, anxiety and suffering, I came to the end of my comfort, the end of my success, the end of my strength, and the end of myself. And it was here where I found the gospel, or more accurately, where the gospel found me. That is my testimony, but that’s not the end of the story. It’s actually just the beginning. You can reaqd the whole thing here. 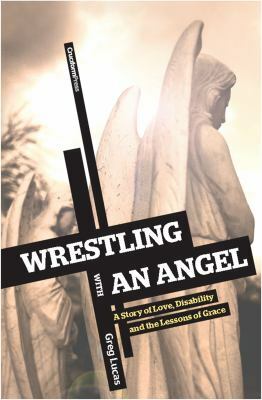 And if you haven’t read his book Wrestling With an Angel yet, hopefully this interview will whet your appetite to get a copy. It’s a gospel-saturated reflection of God’s grace poured out on weak people.